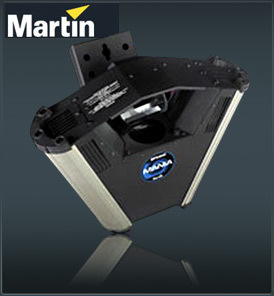 Based on Martin’s popular Wizard Extreme effect light, the Martin Mania EFX600 is a powerful “full house” 150W discharge effect that kicks out a dizzying array of razor sharp optics. There have been plenty of requests for us to carry on with brighter, more efficient effect lights, and the new EFX 600 is a response to these requests. Just like the Martin Mania EFX600 500 it features dazzling new graphical looks from a combined colour and gobo wheel cast from a rotating and swivelling mirror drum. Other effects can be achieved through strobe effects, shake function and manual focus. The result is a unique, high powered yet low priced effect light. Combine the superior quality of the Mania brand with the unmatched value of a long-life discharge lamp (6000 hours, included) and users will experience incredible savings over other lights in its class. And as with all Mania products the EFX600 is officially CE, ETL and CETL approved meaning users are assured of the fixtures’ safety and performance.